Bed And Breakfast182 sq. ft.
From here it is possible to reach the centre of Siena within a few minutes by car, or by public transport and which runs until late in the night. The medieval town of Siena which is know in the whole world for its “Palio” (traditional horse-race in the main square), for its sacred traditions, a town of art where history and culture get blurred with the pleasures of a rich tradition of wine and food. This room is provided with a bath-room with shower stall, hair-dryer, set of complimentary toiletries, LED-television, fan, electric kettle for making hot drinks like herbal tea, air-conditioning and fridge. Let the B&B “Gli Archi” take you on a trip to Siena’s glorious past. 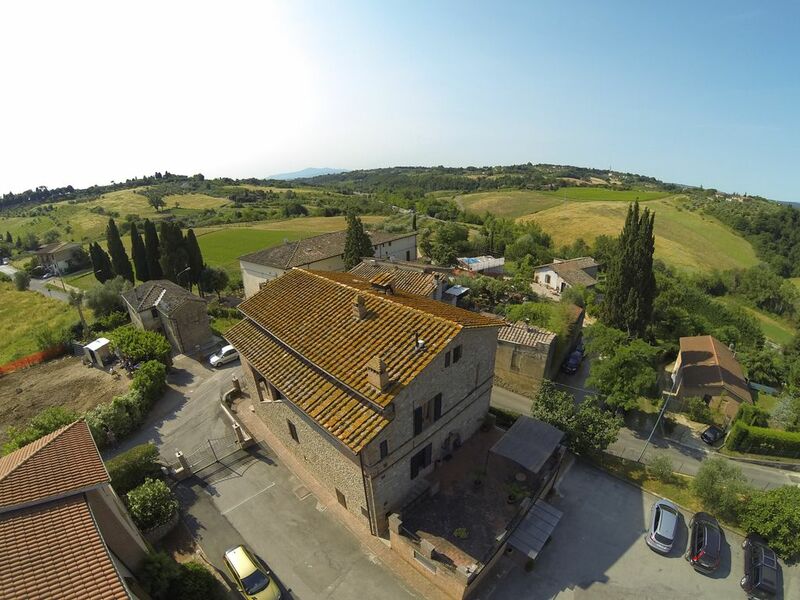 The hotel is located up high in the northern part of Siena, so you can enjoy a great view of the surrounding countryside and Tuscan hillside. Great room and B&B had all we needed! Great room, good breakfast, superb customer service, working wifi and air conditioning. What else could you need in Siena?! Check-in time is only from 3.00pm to 6.30pm. Please contact us for different time of arrival. City tax is to be paid at the check-in in casch and is not including in the price of the room.